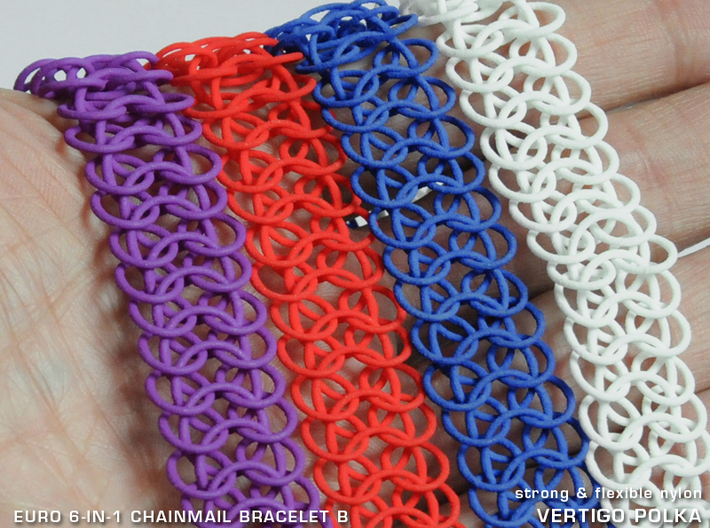 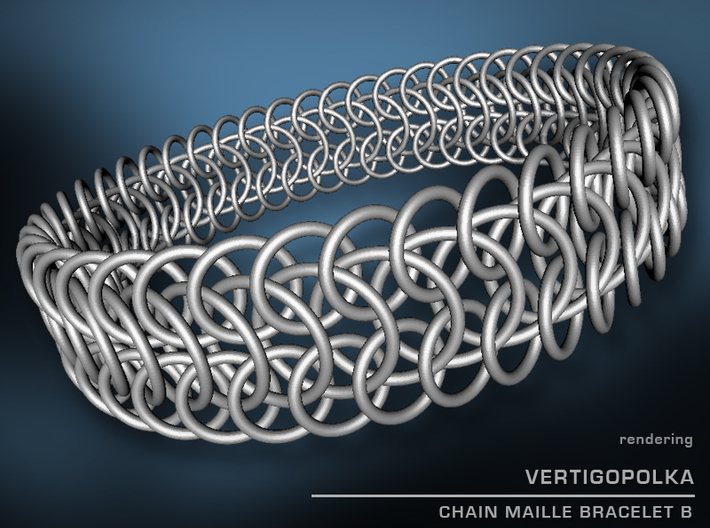 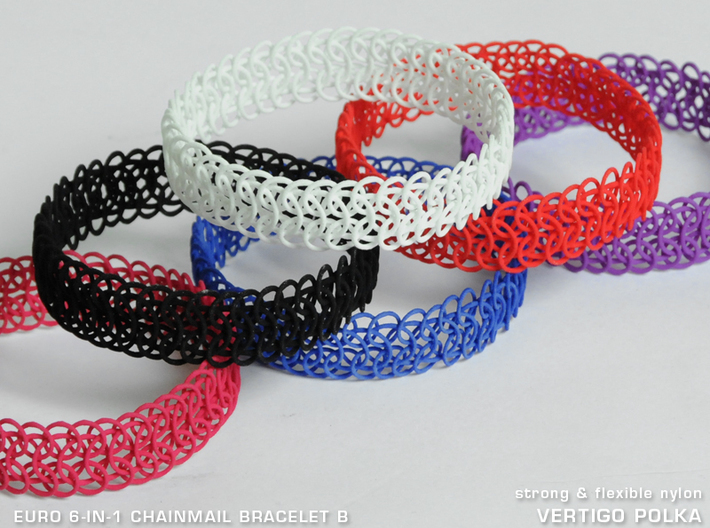 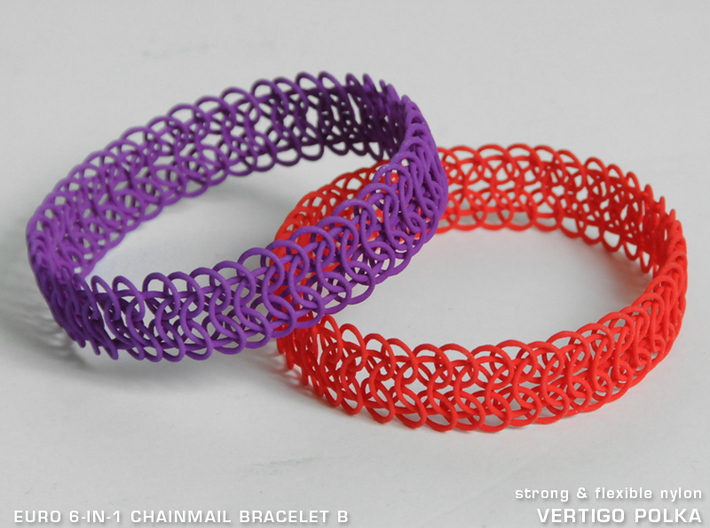 This is a European 6-in-1 Chainmail Bracelet, made with 135 separate rings, 1mm thick each. made with 122 separate rings, each .375 inches in diameter. 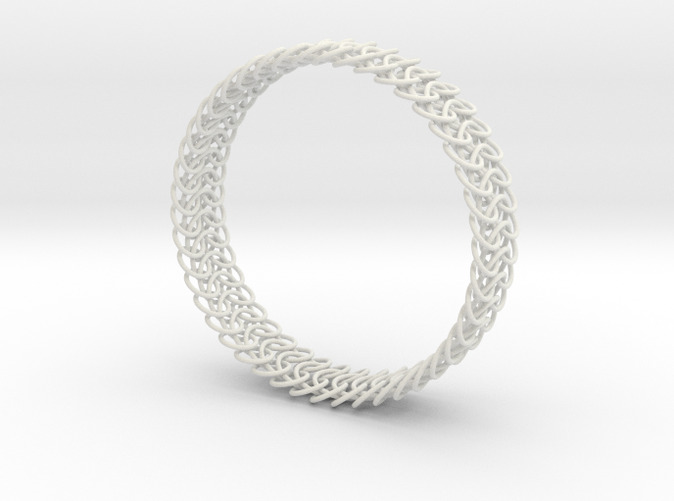 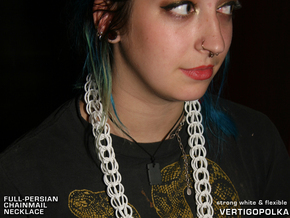 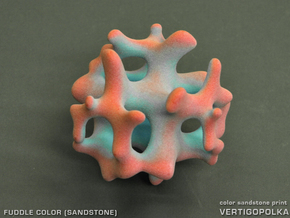 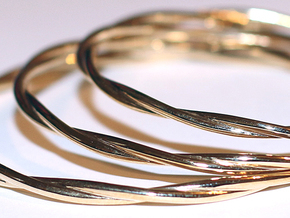 a 33-inch necklace with 300 separate rings.